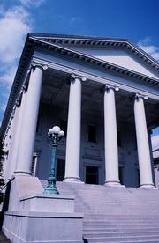 SPECIALIZING IN LEGAL, ADMINISTRATIVE AND EVENT STAFFING! Legal Staffing - Since our incorporation, Woodside has serviced over 200 law firms in the Washington DC Metropolitan area in providing all levels of temporary and permanent staff. From Receptionists to J.D. 's, from Legal Secretaries to the Office Administrator, Woodside has the expertise and experience to fill your needs. We have the ability to staff every department in a law firm such as Accounting, Librarian, Legal Secretary, Human Resources, Benefits, Paralegal, Receptionist, Word Processors, Marketing & Event planners, Mail Clerks, Document Coders, Legal Assistants, and much, much more!!! Administrative & Clerical Staffing - Woodside has also been of great assistance to many Government Agencies, Associations, Banks and other Financial Institutions, as well as many Large and Small corporations. We can supplement your personnel for short term projects, or provide long term assistance when your company goes through rapid growth spurts. We are also GSA approved in California and the Washington DC Metropolitan areas, so we can comply with most requests required by other Government Contractors. Convention Staffing - Since 1993, Woodside Temporaries, Inc. has provided temporary services for the staffing of conventions, meetings and expositions. 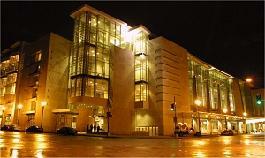 We specialize in the placement of your convention staffing. We have had the privilege to work with over 50 different management companies, as well as directly with individual associations, in order to fulfill their on-site and pre-conference needs. This has helped us become versatile with schedules and personnel requirements, yet maintain the quality required by our clients. We have successfully provided event staff in San Francisco, Los Angeles, Anaheim, San Diego, Las Vegas, Boson, Philadelphia, Washington DC and Chantilly, VA. In order to maintain quality and control at most conventions, Woodside provides supervisors to manage their temporary staff. Because these supervisors are typically also Woodside Staff members, in many cases they have interviewed, tested and checked references on the employees you will be working with. This allows us to see, firsthand, the strengths and weaknesses of our temporary staff, and make any position adjustments as needed. We strive to make your show a success by matching the skills and personality of each employee to the best possible position. 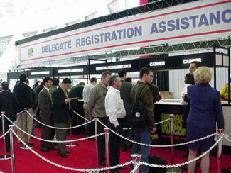 Types of Convention Personnel: On-Site Registration Typists, Exhibitor Registration Personnel, Pre-Registration and Conference Typists, Cashiers, Badge Clerks, Line Monitors, Materials Clerks, Room Monitors, Traffic Flow Personnel/Directional, Convention Booth Personnel/Information Desk, Self-Registration Terminal Assistants, Lead Retrieval and much more.